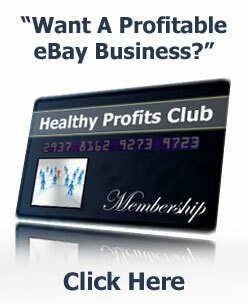 You could say that the eBay success formula is.. 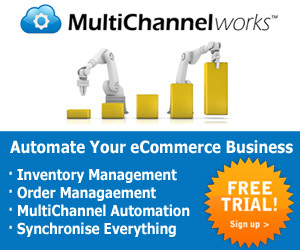 Product + Traffic + Conversions = Success.. Right? The real reason why most people fail is because they are not using..
What is the sweet spot formula, I hear you ask? Well, apart from being the name I’ve given it, I see it as the ‘state of being’ an eBay’er needs to adapt to be successful. The sweet spot formula consists of three parts being inspiration, education and determination and all parts overlap. You can see how they overlap in the diagram below. Once you have the three parts overlapping at the right places and you hit the ‘sweet spot’, you are guaranteed to be successful at whatever you are doing whether it be selling on eBay, obtaining leads or marketing your new ebook! How can I be so confident that the sweet spot formula guarantees success. Inspiration – We all need inspiration. We all need to be inspired to think of new ideas, how to market that new product or plan a new business. Without inspiration your products will be boring, unattractive to customers and won’t have a good chance of success. Education – Every single internet marketer and eBayer I have known and who has seen any success with their internet business is continuously improving their education. They are always learning new techniques, improving their skills and being coached by others who have been in their shoes. The speed of progress on the internet is ten-fold in comparison to traditional marketing and commerce. 1 year in the land of internet marketing and e-commerce is the same as ten years with regards to new developments and methods, so if you are just starting out, you better put on your running shoes. Getting a coach to show you the path is the easiest way to complete your education circle in the sweet-spot formula. Determination – I don’t really need to say it but determination is paramount to success. You’re going to fall at some point and you need to learn from it and get straight back into the game without even flinching. You need to be able to ‘know’ that you are going to succeed before you actually do and don’t let anyone tell you otherwise. So grit your teeth and take action on whatever you need to do to progress. How does all this relate to eBay success? 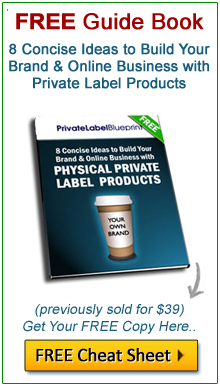 You need ideas to sell new products that stand out in markets. The amount of competition now simply won’t allow you to sell any run-of-the-mill product and get away with it. You can’t just put any old product for sale on eBay and expect to become rich. You need inspiration to figure out your USP or unique selling point. Your USP should make your product different to everyone else’s products and ultimately determine your products success. You’re going to need to learn how to actually procure, advertise and sell your products without being squashed by the competition. You can spend time searching forums, ‘how to’ guides and read books to further your internet marketing education and to grow your business, but who do you trust? If you’re selling on eBay at all and are thinking of growing your business both with eBay and beyond, an eBay coach is the way to go. A good coach will not only be able to show you what you are doing right or wrong but also guide you and give you direction. Being successful doesn’t mean simply selling on eBay. It means using eBay as a marketing tool to fuel your ‘back end business’ which will most likely generate most of your profits. Having a coach who you can trust and who has already walked the path will be a great asset. Take heed and consider it an investment in your business. And you need to be determined to keep listing products to find good sellers and to stay in the game. There is no hard and fast methodology for this and contrary to what many people think, there is no black magic or voodoo involved. Consistently testing new products to find the ones that are going to be big hits takes sheer hard work and determination. No secrets, No magic wands and there’s certainly no voodoo involved..
eBay success simply requires the right ingredients to hit the sweet spot! Let me know by posting below..